This first symposium aims to launch and promote a debate among scholars interested in the history of mapping and mapping practices in the Gulf region. 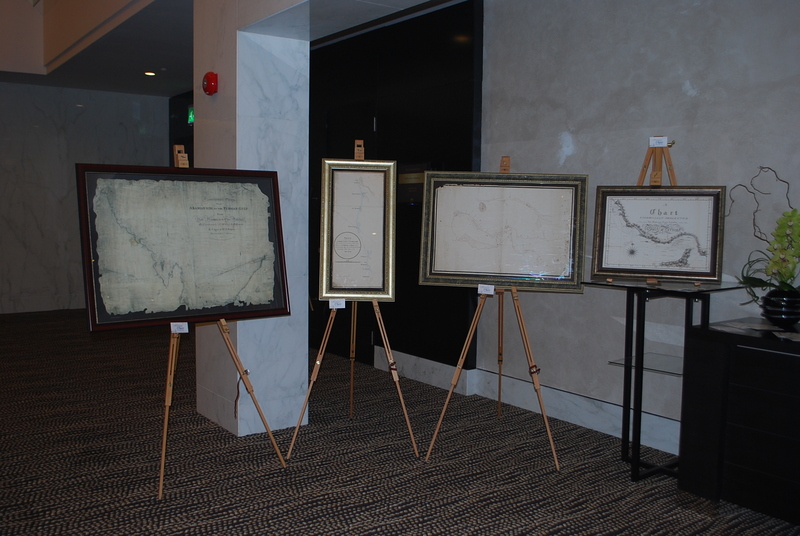 The main goal of this gathering of academics from various institutions in the UAE is twofold: first, to analyse maps produced over the centuries, focusing on the Arab Gulf region; and second, to study the evolution of mapping concerns and methods in the GCC. These considerations for maps and associated representations are of exceptional importance. Indeed, the history of the region presents a particular problematic due to the scarcity of written sources in such a cultural context known for its great oral tradition and intangible heritage. It is for this reason that the history of the region is often studied through accounts of travellers or seafarers. 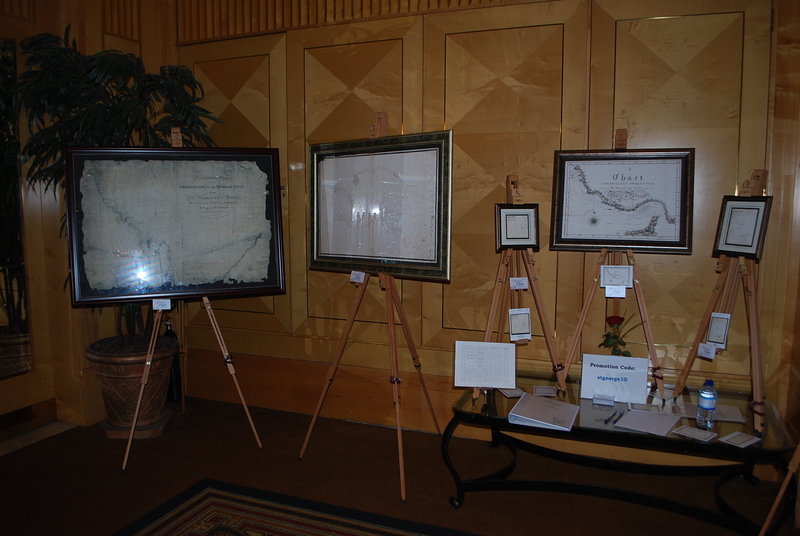 Therefore, such historical documents can be regarded as geographical literature. In addition to these narratives, maps form another major source of knowledge of the past. Their ingenuity lies in offering a vision of the deserts and oases and/or an accurate description of the marine environment along the coastal areas and harbours. The building of a rich collection of historical maps is not only a priceless contribution to the knowledge of the past, but also a means to a better understanding of the present conditions, not to mention a potential tool for projecting the future. Since ancient times, the Gulf appears as a space where people, goods, techniques and ideas circulate. One might even consider the Gulf as a “Méditerranée” in the Braudelian sense of the word. Today, at the time of globalization, the Gulf remains both a complex interface between its two shores and a bridge between Europe and Asia. In this regard, the publication of atlases can also prove to be an important contribution to the knowledge of the region, while thematic mapping allows the merger between the legacy of the past as recorded in old maps and the present dynamics using numeric and cartographic data processing. Various recent atlases, whether comprehensive or specialised, published by scholars or governmental agencies, are, in fact, a way towards a multi-scale understanding of the area. Cartographic opus helps to prepare future contributions for the impending post-oil economy and the building of a knowledge society in the Gulf Countries. In this context, GIS and remote sensing become crucial decision support tools. Today’s maps rely on information and communication technology, however they still pay tribute to the long history of the cartographic representation of the Arab Gulf. 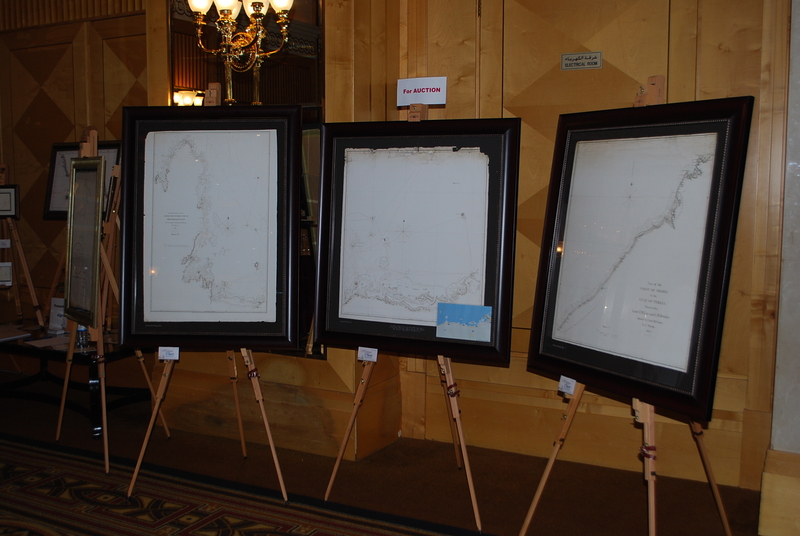 Thus, they continue the tradition of ancient maps, which had paved the way. 12h30- Dr. Yahia Mahmoud, Associate Professor, History Department, Faculty of Humanities and Social Sciences, UAE University, Al Ain “British survey of Abu Dhabi coast”. 14h30- Prof. Saif Al Qaydi, Department of Geography, University of the UAE, Al Ain “The role of the Arabic Division in the UNGEGN in the GCC geographical names; naming the Gulf water outlets”. 6- GIS and Remote sensing: a new vision of the Arab Gulf Countries? 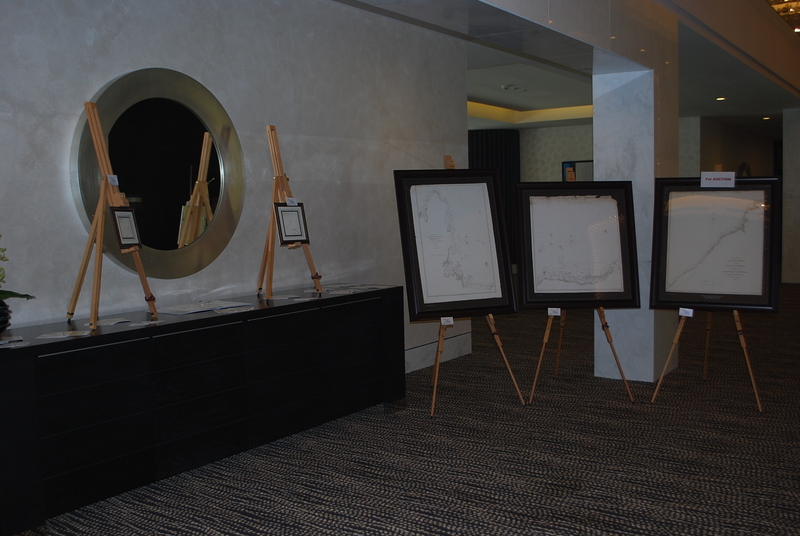 For the second time this year Heritage Charts were immensly proud to have been invited to display some of our collection of beautiful fine art reproductions of historic and rare maps and charts at a major Abu Dhabi charity event. The annual Chieftain’s Ball. 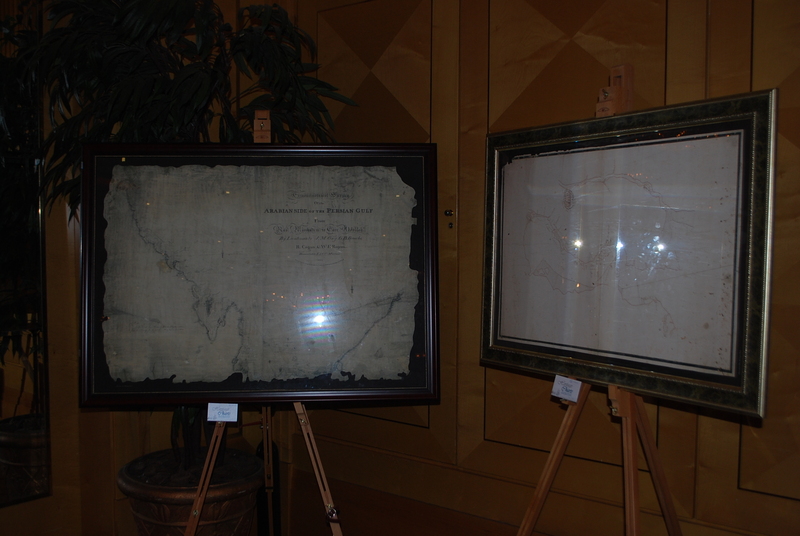 Heritage charts were delighted to be able to exhibit some of our Middle East collection at the recent fund-raising ball organised by the Royal Society of Saint George to celebrate St. George’s Day. 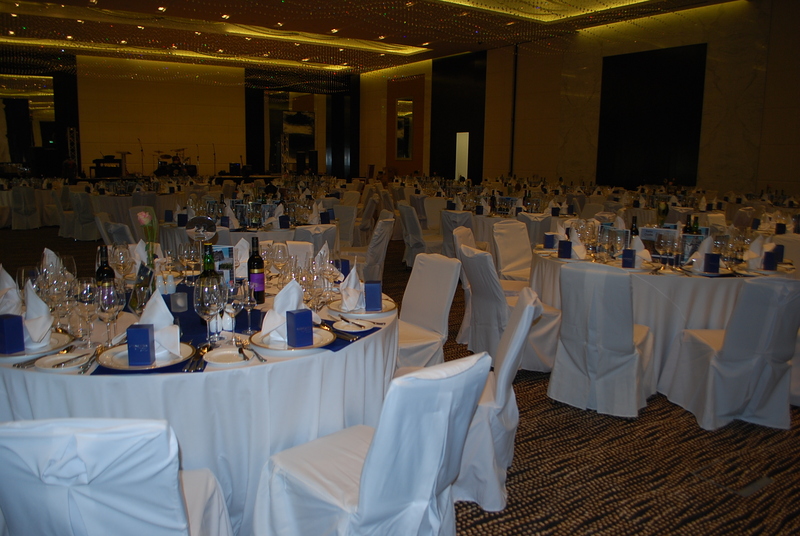 The Ball took place at the Crown Plaza Hotel, Hamdan Street. All of the money raised on the night by the Royal Society for Saint George is to be split between two children’s charities. ‘Children Today‘ a UK based charity and the ‘Make-A-Wish Foundation‘ which is based in the UAE.